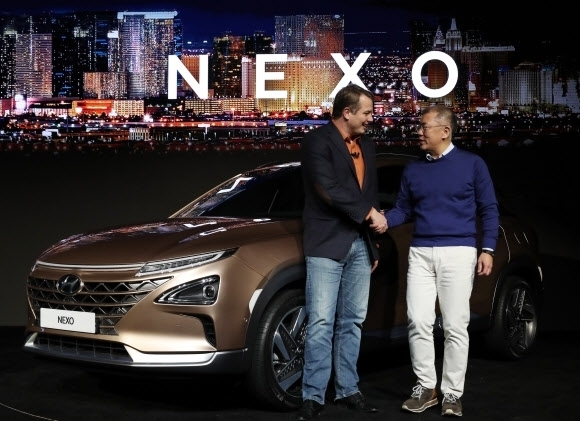 Hyundai Motor Co. said Thursday its Nexo hydrogen fuel cell electric car has been awarded Europe's best in class for safety in the large off-road category for this year. The European New Car Assessment Program tested the Nexo in four categories: the safety of adult passengers, the safety of children in rear seats, the safety assistance system and the safety of passers-by and bicycles on roads, Hyundai said in a statement. "Hyundai is committed to provide customers and other road users with the highest level of safety, while offering innovative mobility solutions. This accolade by Euro NCAP is further evidence of our industry-leading position in the field of future mobility," Andreas-Christoph Hofmann, vice president in charge of marketing and product at Hyundai Motor Europe, said in a separate statement.